We are on milestone 9. New ETA for beta testing is May 15th. Here’s a video update. PastorsLine recognizes that there is often mobility in church staffs. People come and go. This can mean that churches need to change PastorsLine owners. ‘Admin plus’ addresses this need. It is quick but secure, with confirmations on both ends. More details here. You sent a user an invite. He or she did not respond. Before, you would have to do the whole process again: delete this user, add him or her again, and issue an invite. Now, you can just click on the Reinvite icon (two red arrows in opposite directions) to resend the invite link. 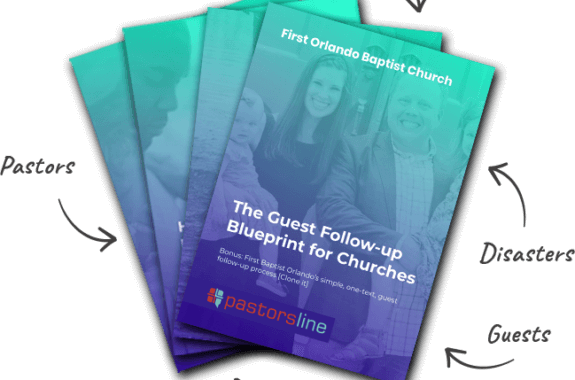 Learn how First Baptist Orlando is using CCB and PastorsLine to effectively follow up with first time guests at their church. pastorsline.com/integration-ccb/#guest. The simple text template is powerful and has increased conversations by 3x.